Carolyn Sinnard is the owner and Designated Broker of Happy Dog Realty, LLC. Carolyn is a member of the Brokers Council of Idaho. She is on the Board of Directors of the Boise Regional Realtors and Idaho Realtors Association. She also serves on BRR and IR Education committees, helping to shape education courses for Idaho Realtors. Carolyn brings over 25 of sales, advertising, media and marketing experience to Happy Dog Realty. She is a graduate of the Realtor Institute (GRI). She also holds two Real Estate designations, the ABR® Designation and the SRES Designation, which are awarded to realtors that have taken specialized training in these fields. The Accredited Buyer’s Representative (ABR®) designation is designed for real estate buyer agents who focus on working directly with buyer-clients. The Seniors Real Estate Specialists® SRES® are realtors that are qualified to address the needs of home buyers and sellers age 50+. Additionally, Carolyn teaches Continuing Education classes including Post License and Ethics to Realtors and Understanding RE to Seniors through AARP. Carolyn holds a Bachelor’s degree in Communications from the University of Wyoming and a Master’s degree in Adult Education from the University of Idaho. She is actively involved in her community on the Meridian Mayor's Senior Advisory Board. In the past, she was the past president of the Meridian Chamber of Commerce, Canyon County United Way Board of Directors, and served on the Nampa Chamber of Commerce. 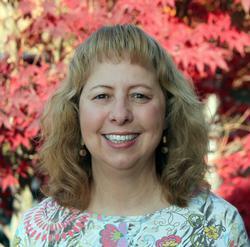 Carolyn and her husband, Rick, have lived in the Treasure Valley since 1990.